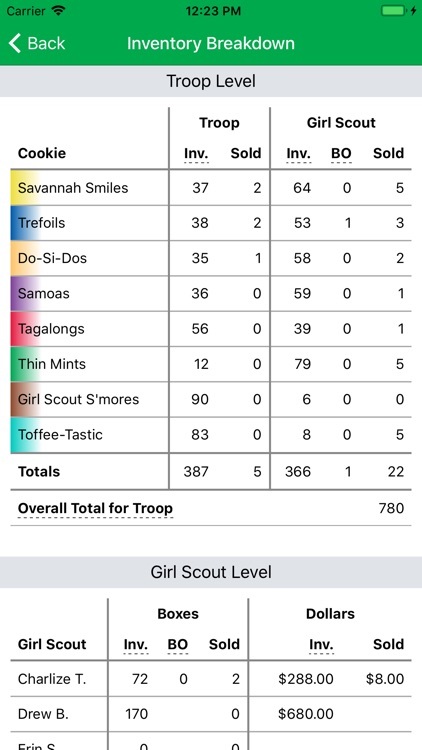 The Cookie Management app provides an easy and convenient way to track your Girl Scout cookie inventory and sales across the entire troop. 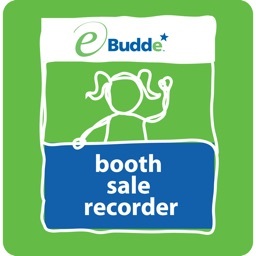 It supports actions such as orders, pickups, booth sales, transfers, and many more. 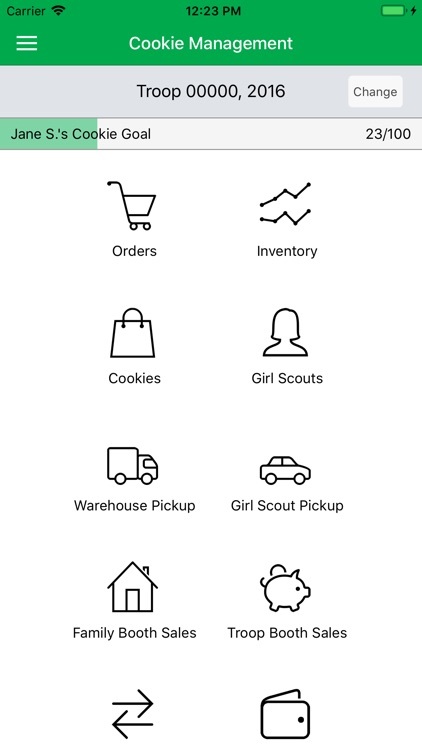 This is your one-stop shop for all your cookie season needs - no need to buy multiple apps! 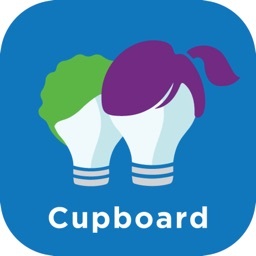 The data is sync'd across devices so all members in the troop will see the same real time data. 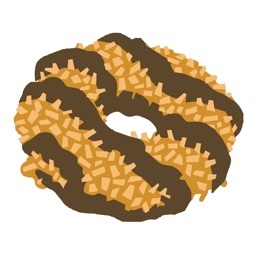 This app can also be used by a single Girl Scout in case the entire troop does not want to adopt it. 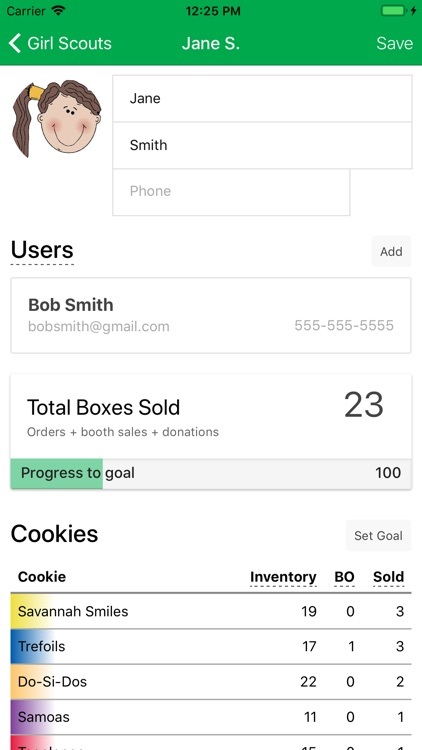 - Numbers are real time - when members of your troop enter their orders/booth sales, the inventory is automatically updated on your device. 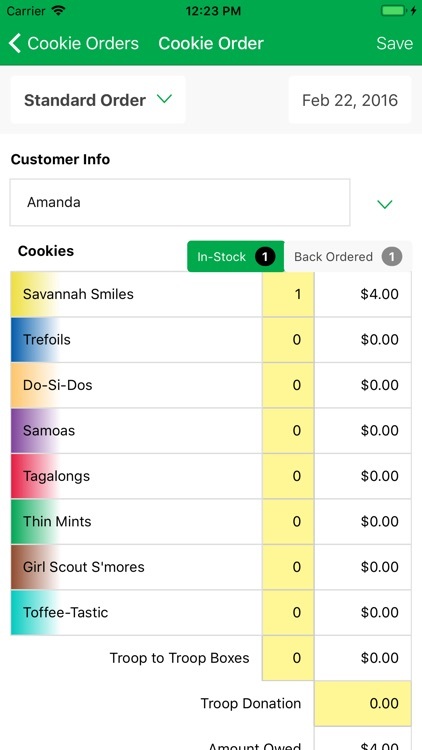 - Add multiple users for each Girl Scout - each one will be able to log into the app for free and enter orders for that Girl Scout. This is great for also letting grandmas, uncles, etc. 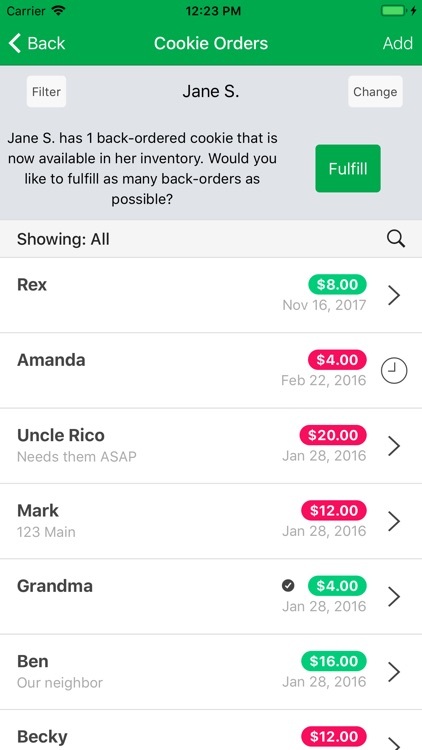 enter orders for you as well.